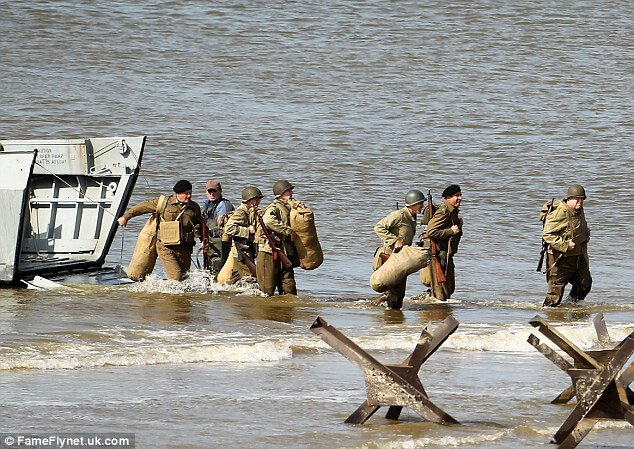 George Clooney shooting The Monuments Men movie on the beach at Rye, England. 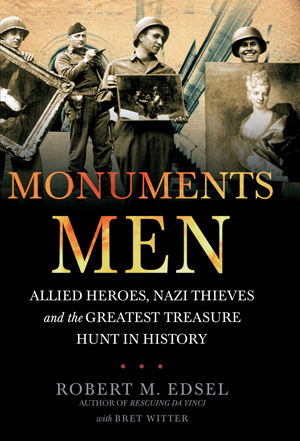 Serious George Clooney watchers may want to bookmark The Monuments Men movie site where 'moviehorizons' is gathering a ton of production photos and info for the upcoming film based on Robert M. Edsel's book. 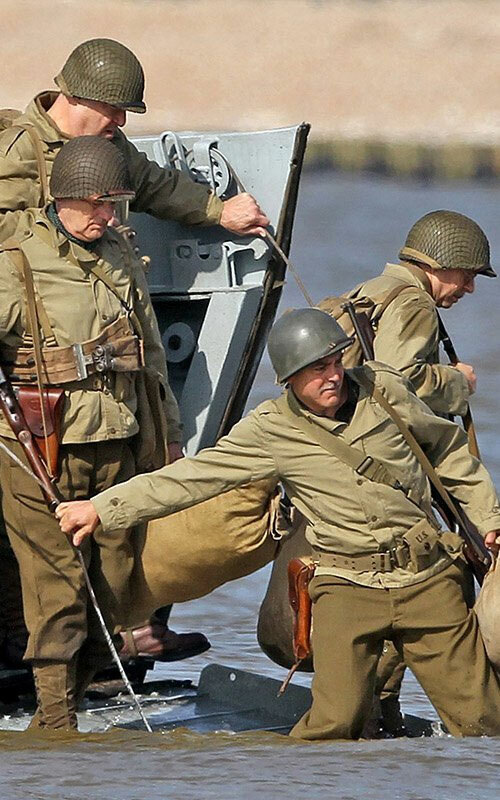 Clooney wrote the adaptation, stars, directs and produces the film about a group of allied heroes rescuing some of the world's greatest works of art from the clutches of the Nazis. 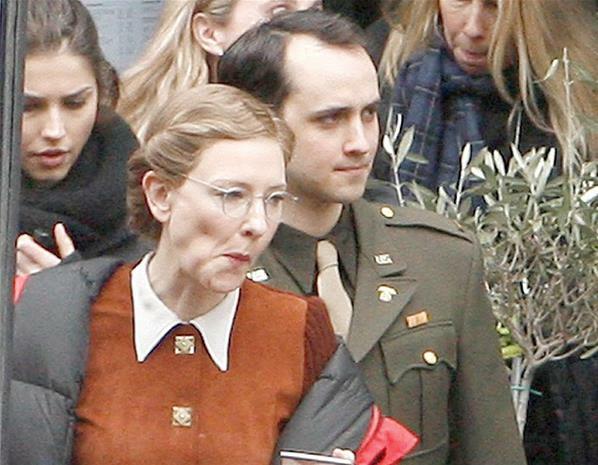 Looks like George is struggling to stay upright - is that part of the scene or is he human? Judging from the image on the right, they're having a good time on set. 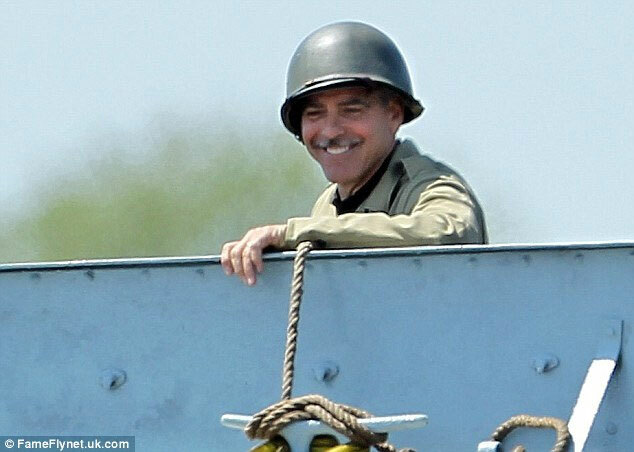 Not surprising considering Clooney's reputation for fun and games. the beaches of Normandy? No, Rye. Ryan Gosling, who costarred alongside George in The Ides of March said he was in amazed by Clooney's ability to juggle so many different things at once. The pressures of directing and acting, plotting some exhorbitant prank all while planning a massive relief effort for Somalia, and all in good spirit! Quite a guy, George is. 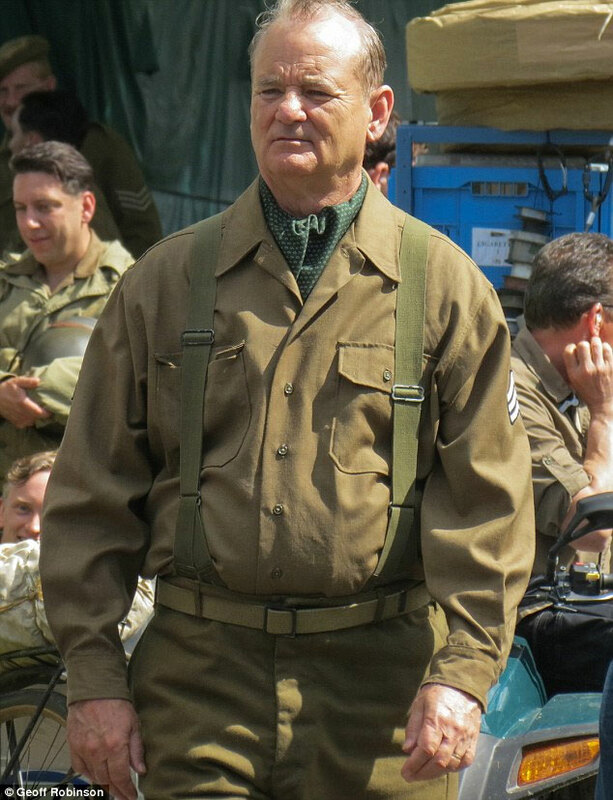 In addition to George Clooney, The Monuments Men stars Matt Damon, Jean Dujardin, John Goodman, Bill Murray, Hugh Bonneville and Cate Blanchett. Sadly, Daniel Craig, once attached to the film is out; it's not clear whether Matt, the most recent additon to the cast, has taken the role initially intended for Craig. I love Damon but Daniel Craig is just darker and grittier; it would have been cool to have Bond and Bourne together. But that might have been too much gorgeous male competition even for Gorgeous George. 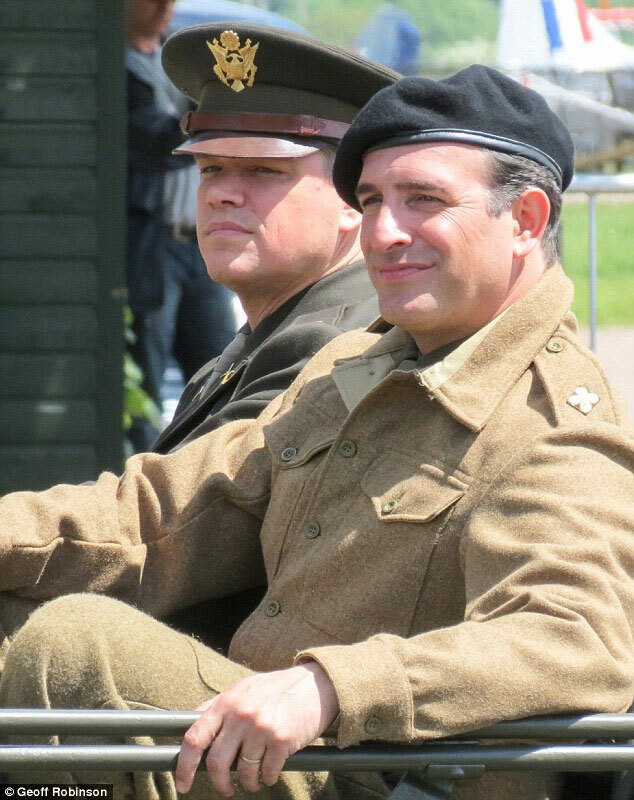 Monumental Men: Matt Damon and Jean Dujardin in The Monuments Men due out later this year. Mmmm! Ah, that's better. 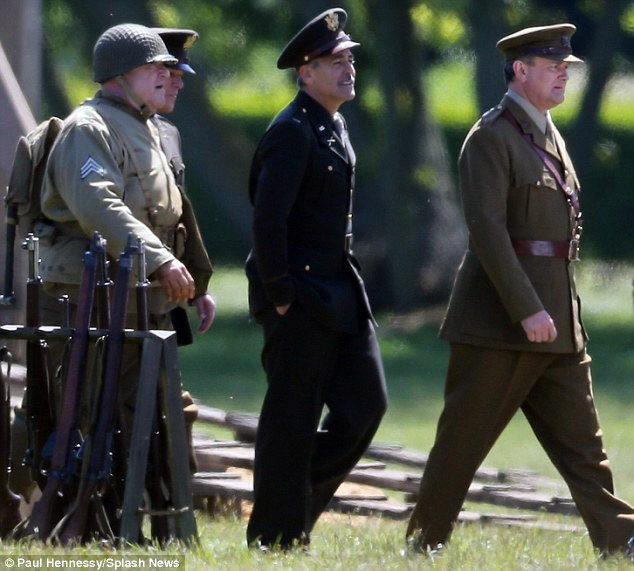 George Clooney + Hugh Bonneville: Where you lead, I will follow. Cate Blanchett! Not exactly her handsome self here. 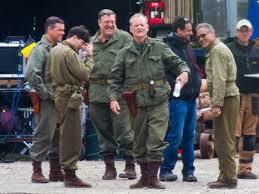 The Monuments Men is set for release December 13th, 2013. I'll post the trailer as soon as it lands. 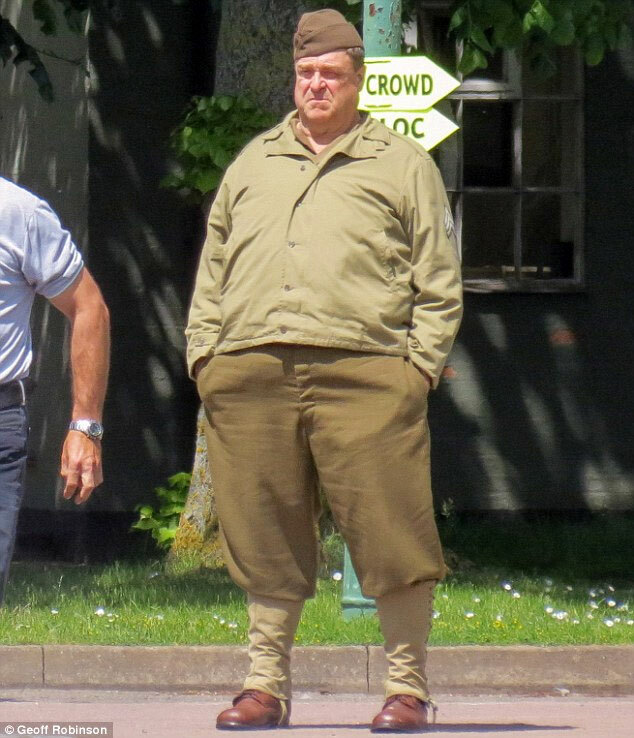 George Clooney and John Goodman --sign me up. 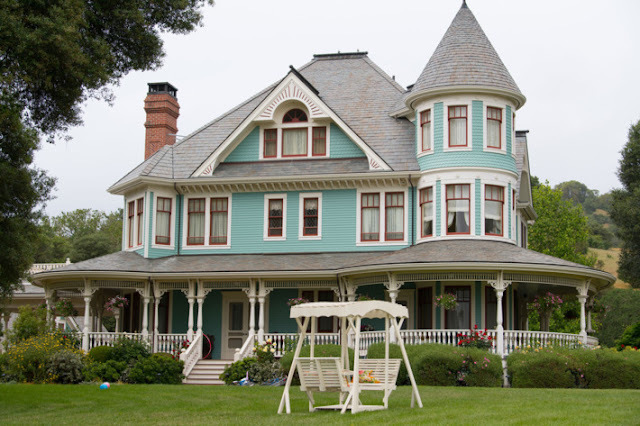 I think my husband would like this one as well. a little something for everyone ~ I was thinking the same thing. THis sounds amazing! I remember when the book came out, I was interested in reading it but never got around to it. I didn't hear about the book until I heard about it in connection with the film. The book does look intriguing, but I'm happy to wait for the film. You know I'm interested. This book really influenced my novel, The Summer of France. 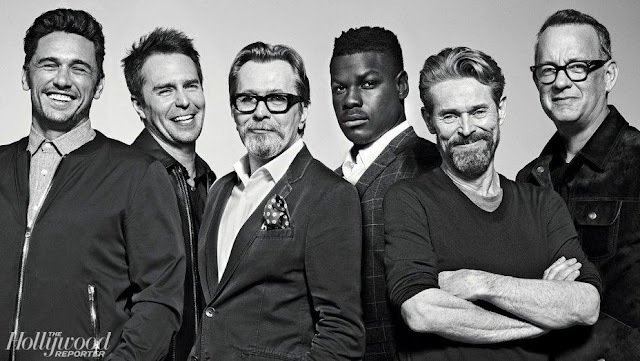 I'm kind of surprised at the casting of so many older guys. Of course, the museum curators would have been older. I know! I thought of The Summer of France the moment I saw the book.